Sources downplayed the possibility of a dual-camera setup with wide-angle and telephoto lenses, according to Japanese media reports cited by Feng.com, but noted that RGBW means an alleged switch to smaller pixels won't come at the expense of low-light imaging. 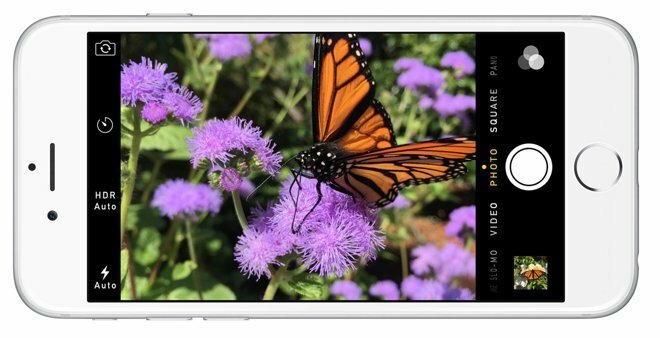 The iPhone 6 and 6 Plus both employ 8-megapixel sensors with larger-than-average pixels designed to improve light sensitivity. RGBW makes use of an extra white subpixel to achieve a similar effect. The reports suggest that Apple originally intended to use RGBW for the iPhone 6 and 6 Plus, but instead opted to wait to make sure its implementation would meet quality standards. The new device is widely expected to be called the iPhone 6s, and ship sometime this fall. Multiple reports have claimed that Apple will continue to offer 4.7- and 5.5-inch sizes, but add things like support for Force Touch, the pressure-sensitive control system introduced with the Apple Watch.